Finding a dentist near you that the whole family appreciates is never an easy task. You want to find an expert local dentist who cares about the health and well-being of your family, but how do you get complete information like that from a listing? Finding the right dentist for your family is more than choosing from names on a page, it is about asking the right people the right questions. To ensure that you find the right dentist, the American Dental Association (ADA) has compiled a guide to help you make the best choice for the oral health care of you and your family. If you have family in the area, get their recommendations. Get to know your neighbors and coworkers and ask for recommendations from people who are familiar with the area. Do an online search for “find a dentist near me” or “local dentists” and read the reviews. Gather information and inquire further about your top choices with friends, family, and coworkers. Experience and Expertise: Where was your dentist educated? Where did he or she complete training? 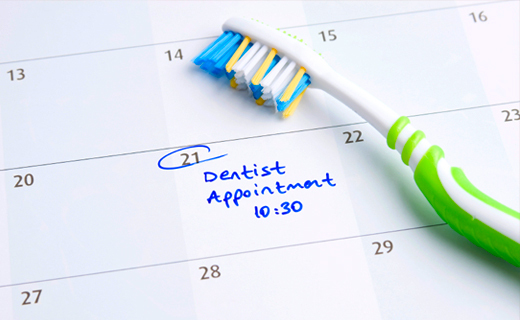 How often does the dentist attend continuing education opportunities? Office Hours: Are they convenient for your schedule? Does the dentist have emergency hours available too? Fees: Is information about pricing, fees, and payment plan offered up front when the treatment is scheduled? If not, what are the prices of common procedures, such as basic cleaning, oral exams, full-mouth x-rays, and cavity fillings? Environment: Does the office appear to be clean and organized? Do all surfaces and equipment in the treatment room appear clean? Dental Staff: Is the staff helpful and willing to answer your questions? Do you observe the dentist and staff wearing gloves and other protective gear during patient treatment? Take your time and perform complete research. Don’t just choose any dentist, choose a dental care office that has your best interests in mind and makes you feel comfortable every time you visit.